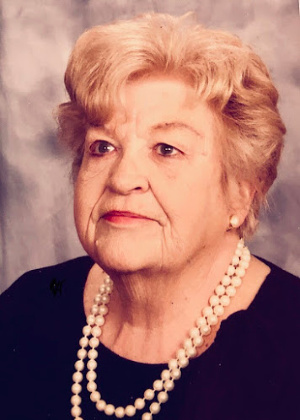 Patricia “Pat” A. Reynolds Aichele, 85, of Lancaster, went home to be with The Lord on March 24, 2019 at Lancaster General Hospital. Born in Lancaster, PA, she was the daughter of the late Charles H. Reynolds and Grace (Smith) Wunderlich. After graduating from J.P. McCaskey High school, she started her career as an operator with Bell Telephone in Washington D.C. After returning to Lancaster she was a receptionist with Irl A. Daffin Associates for 25 years, and more recently as manager of McCormick Travel and then Ambassador Travel agencies. In her spare time, she enjoyed traveling, reading, needlework, and the beach. But her family was her greatest joy. Pat was a lifetime member of First United Methodist Church and more recently of Church of the Apostles. She was also a member of the Eastern Star. She is survived by her three children; Brenda Kammerer (wife of Keith), David Aichele (husband of Betsy) and Tricia Hillegas (wife of the late Vincent); grandchildren, Brandon (husband of Becky), Michele (wife of Chris), A.J. (husband of Emily) and David; and great-grandchildren, Ethan and Hailey; along with many beloved nieces, nephews, and dear friends. She was predeceased by her sister, Jacquelyn Gunnion. Mom… I will miss you more than words can say. Thank-you … just cannot list all the things I want to thank you for but I know you know…. My heartfelt condolences to you 3 , and the rest of the family, for the loss of your dear, sweet mother. My heart breaks for you, but is eased by knowing she’s in His arms now, no more sickness and suffering. I love you guys like you are my own family. Our mothers are with God now and I like to think they finally got to meet, and take a walk together., or maybe chat over a cup of tea. Much love. You are in my prayers. Always remember you never leave those you take with you in memory. So sorry for the loss of your beloved mother. May she rest in peace. My sympathy to you and your family. We are deeply sorry about the loss of your Mother. May you treasure the wonderful times and memories you have, and take comfort in them. We are with you in thoughts and prayers at this difficult time. So sorry to hear about the passing of your mother, Pat. Some of my earliest memories involved having great times at the Aichele home. Pat was always so generous and kind. My mother always thought of Pat as a very dear and close friend. My thoughts and prayers are with all of you. So very sorry for the loss of your Mother. Our thoughts and prayers are with you and your family during sad time.